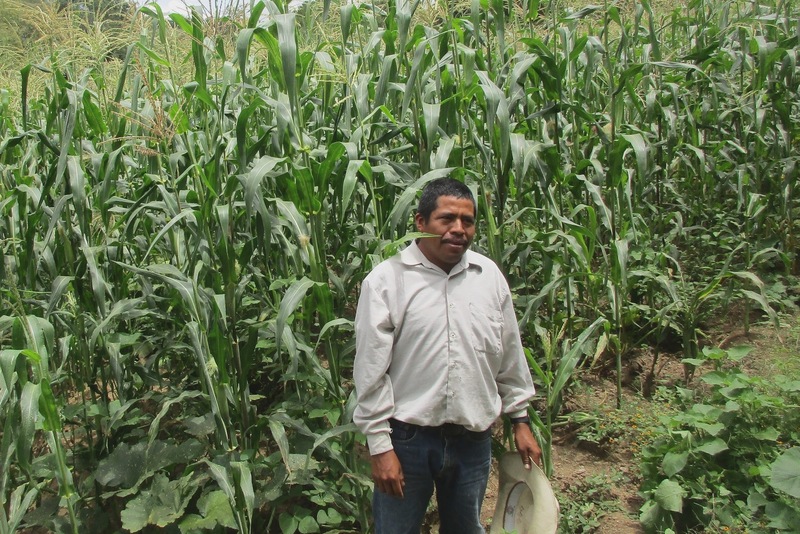 This was a scenario that challenged Eleuterio, a seed producer in Coatecas Altas, Mexico. Before, his community exclusively cultivated seasonal corn and beans. “We didn’t think about other crops,” he reflected. “We had no other vision.” In the absence of trees, many farming families will see their land depleted of nutrients making it difficult to grow the crops on which they rely. As poverty furthers the demand for farming, the land becomes over-cultivated and farms produce less. Since Eleuterio began working with Plant With Purpose, his community has seen this story put into reverse. Eleuterio began working with Plant With Purpose four years ago, and since then he and his community have learned new approaches to reverse this effect. “I learned how to care for the soil,” he noted.“To retain water and soil through conservation trenches at contour lines.” They also began to plant trees to nourish the soil and make it more resilient to harsh rain and other threats. “I planted trees. Where they were placed, plants are now growing and at the same time, the area is regenerating,” explains Eleuterio. Coatecas Altas began to see results quickly. 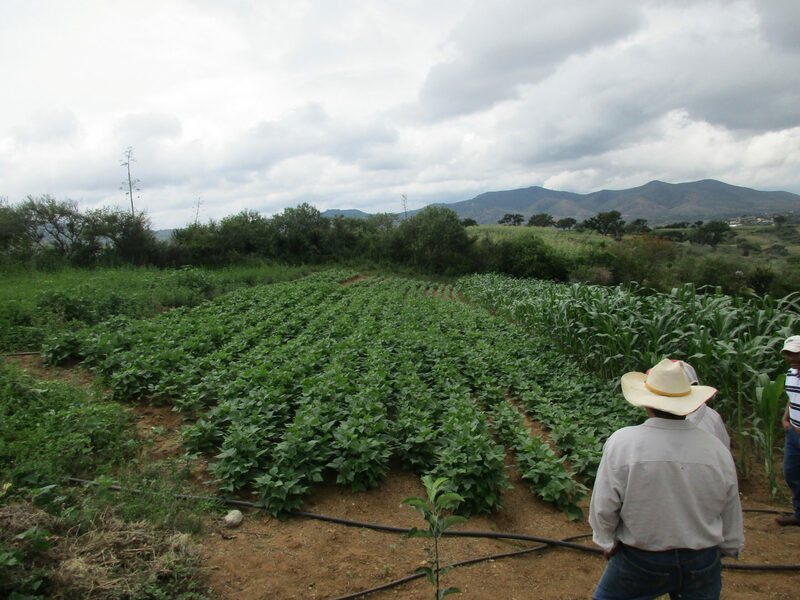 As the soil recovered, Eleuterio was able to plant corn more effectively, as well as other crops including greenhouse seedlings and animal feed. His income increased, and he was able to produce vegetables to sell and to feed his family. The positive effects did not end with Eleuterio. His entire community grew stronger as a result of pursuing better practices. 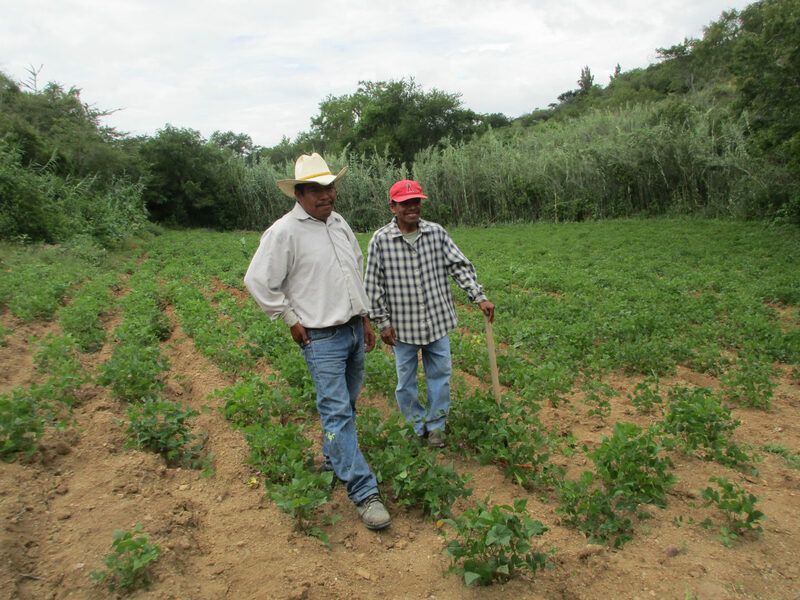 Eleuterio and Pedro stand in the middle of an agroforestry plot in Coatecas Altas. Reforestation is a key solution to eradicating rural poverty. Plant With Purpose has seen reforestation as a proven solution to eradicating rural poverty. Trainings, such as those implemented in Coatecas Altas, have helped provide local farmers with the resources to become agents of change in their villages. Every tree planted nourishes both people and the land that they care for. While deforestation remains a major threat to small rural farms, but Plant With Purpose has seen hope. These efforts are drastically transforming places like Coatecas Altas. The environment not only thrives, but so does the spirit of the people among the community. The experience of growing, quite literally, out of poverty, is a process of joy. To date, Plant With Purpose has planted over 23 million trees and envisions 50 million trees on the horizon. These trees will provide hope and a key instrument in the fight against poverty around the world. Want to be part of the movement? Learn more about becoming a Purpose Partner.